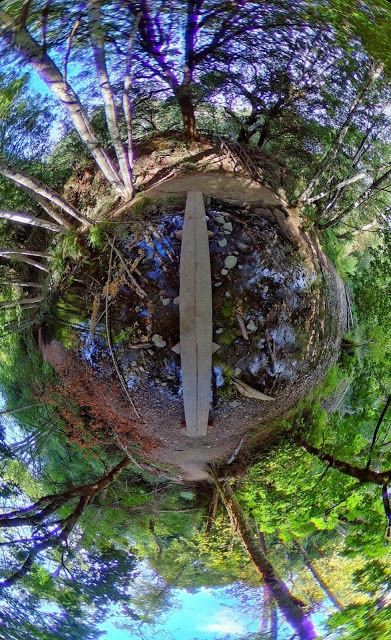 One of the challenges of taking 360-degree photos is that the camera captures everything around it, including the legs of the tripod or monopod used to support it. Erasing the legs or editing the nadir (the bottom of the 360 photosphere) is therefore a typical part of the 360 workflow. Now you can do it easily, while preserving the original image quality as much as possible, thanks to a Photoshop action by Artem Chubaryan. The typical process for editing the nadir is to use 360 editing tools such as Flexify or Hugin to move the nadir to the middle of the equirectangular photo, where it is not distorted and can be easily edited. After editing the nadir, you can then move the nadir back to its original position. However, Artem found that this process is not lossless, and blurs the original photo slightly. To preserve the image quality of the original as much as possible, Artem takes the step further and uses a layer mask. He then applies the change selectively, only to the parts of the nadir where he needs them. The rest of the photo therefore does not suffer from any degradation from the process of changing the 360 photo to move the nadir. The process can also be used for static videos (i.e., with a non-moving camera), by overlaying a mask of the edited nadir over the video. Artem has created a Photoshop action to automate the process and has generously made his Photoshop action available here. Please note that the action requires Flexify. To use the action, just run the Flexify prepare action. Edit the nadir (e.g. remove the tripod). Don’t change the layers. Then run the Flexify apply action, which will merge the result back with original properly. The action has been tested on Photoshop CC. 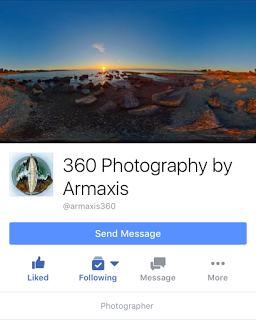 To see more examples of Artem’s photography and to learn more techniques, check out Artem’s Facebook page and blog, 360 Photography by Armaxis! Re workarounds, there's a free software called Insta360 Studio that can add a logo to your 360 photos and videos (in addition to having tiny planet animations). Awesome photoshop action – thanks!